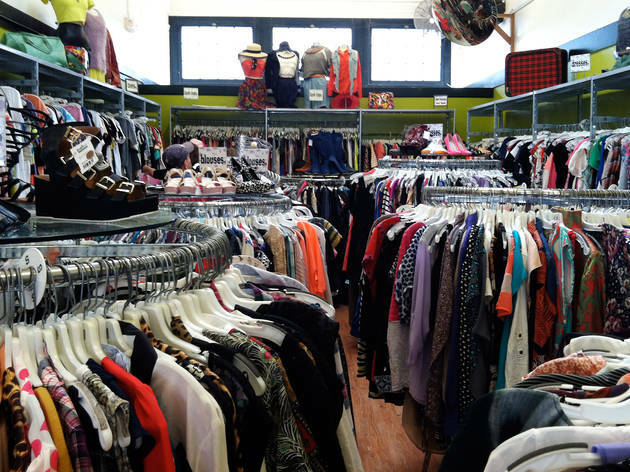 More fashion-conscious than a typical thrift store and with a higher turnover rate, this buy/sell/trade consignment shop is Crossroads Trading Co.'s closest competitor. Don't be surprised if there's a line of tote bag–hauling locals looking to sell their clothes while the staff combs through someone else's stash. The buyers are trend-focused here; they don't take accept any old ratty T-shirt or stained pair of jeans. Men's and women's racks are separated into adjacent rooms and are filled with everything from silk blouses to leather jackets. 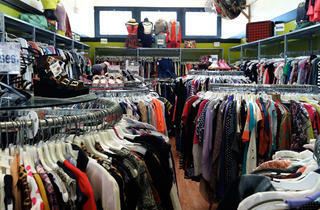 (Items are also sorted by size, a nice touch for secondhand shop.) But, unlike Crossroads, footwear is the main attraction here. Shoes are stacked seven shelves high and run the full length of the store.